Taragana.com/WASHINGTON – Biologists have determined that a 700-mile security wall under construction along the United States’ border with Mexico could significantly alter the movement and “connectivity” of wildlife, with the animals’ potential isolation a threat to populations of some species. However, technology and alterations to the design could dramatically improve the potential for animals to move more freely between the two countries, the scientists added. “The biggest concern is that this barrier will break small populations of animals into even smaller pieces that will result in fewer animals interacting,” said Clinton Epps, a wildlife biologist at Oregon State University and co-author on the study. “A major barrier such as this could lead to significant degradation of connectivity for many different species, ultimately threatening their populations,” he added. 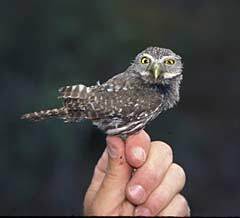 In their study, the authors looked at the potential effects of the security wall on two species – the pygmy owl and bighorn sheep.